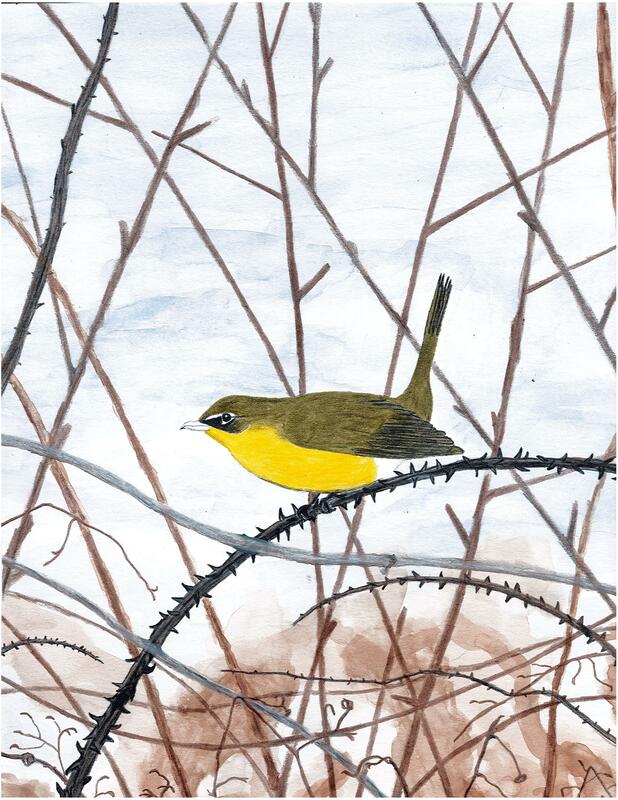 Posted on November 16, 2018 by Sean K.
We are extremely excited to display a selection of art from our third annual juried youth bird art exhibition. All artwork will appear in this series of posts. 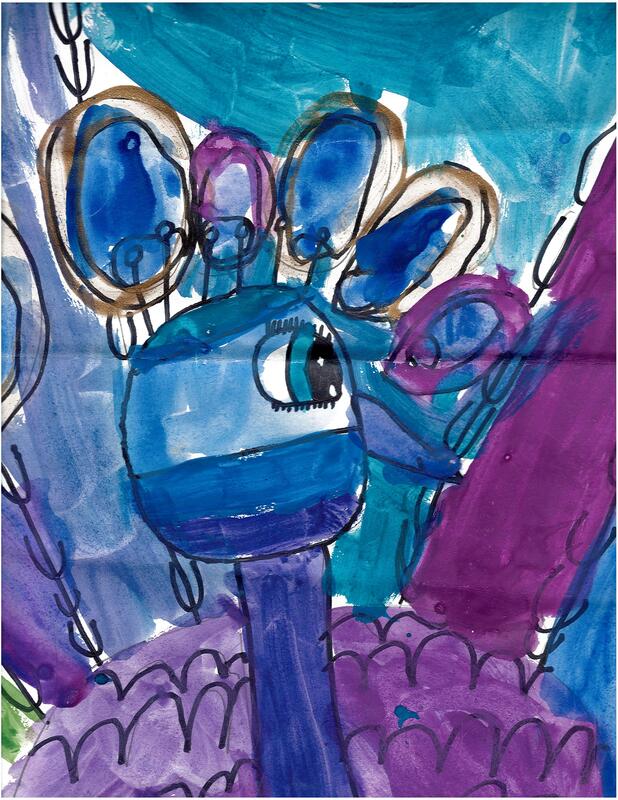 This annual exhibition is open to any children and young adults age 4 to 18 years old. All selected entries will be on display at the Museum of American Bird Art from November 10, 2018 to March 30, 2019. Entries for our fourth annual exhibition will open in January 2019 and close in June 2019. Through the eyes of a Golden Eagle, the world looks very different. In an age of ever increasing industrialization and reliance on technology, the human eye is often transfixed to a screen. The eagle eye is unencumbered by such trivial notions. They live a simple life, not one without challenges, but one of freedom and soaring to great heights. In their view, mountains reach high into azure skies and crystal-clear streams cascade through forests. 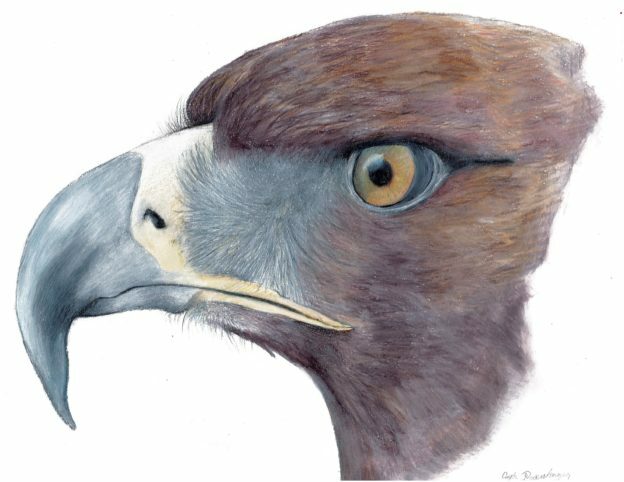 Literally and metaphorically, the vision of the Golden Eagle is far more favorable than that of humans. Take the time to look away from those electronic devices. Be among nature. Try to see more of what the eagle eye sees. One of my favorite moments while birding was in the dead of winter. I was sitting in front of a desolate thicket, when out of nowhere a bright yellow cheery Chat popped up and gave me unforgettable views. A Chat is cool to see in the Summer but in the Winter the colors just pop and it will change your day in the flick of a switch. I love all the colors of a peacock. They have some shine so I added a little glitter to add to the design of their pretty feathers. This is a drawing of a bald eagle. The bald eagle is an American symbol. I like bald eagles because they are beautiful birds. They have dark feathers on their body and white feathers on their head. I have seen pictures of bald eagles in books and on the computer, and I have seen live ones in the zoo. In this drawing, a bald eagle is taking flight. 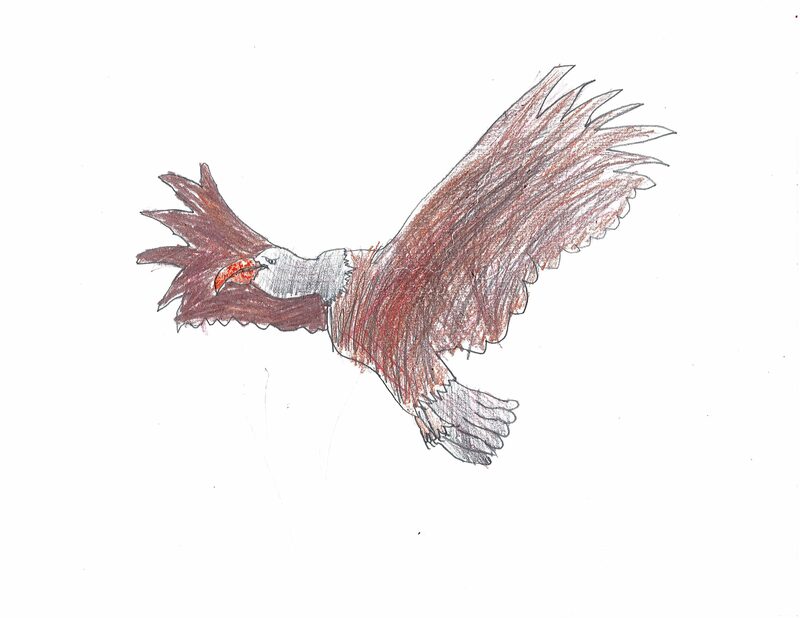 This entry was posted in Taking Flight: Juried Youth Art Exhibition and tagged Eagle Taking Flight, Golden Eagle, Peacock, Taking Flight, Taking Flight 2018, Yellow Chat, Young Artists on November 16, 2018 by Sean K..